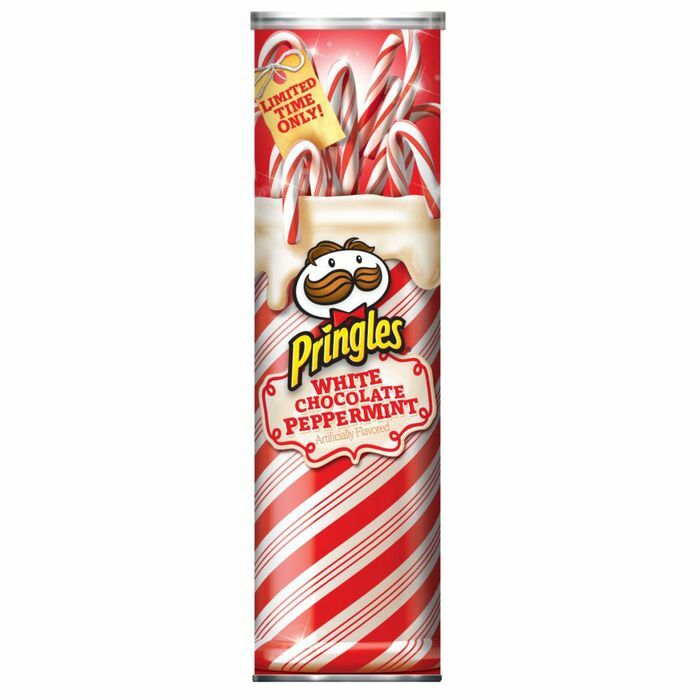 Here’s the first sign that a White Chocolate Peppermint Pringles flavor does, in fact, exist. Legend says a crack team of snack researchers engineered these chips to evoke a one-night stand between a naïve Idaho potato and a semi-tragic, cocoa-buttery candy cane with an indistinguishable accent. Was that Finnish she was spoke? We’ll never know. Anyhow, these chips are apparently keeping their holiday-themed brethren flavor Cinnamon Sugar in good company on grocery-store shelves across the nation. There’s also a Pumpkin Pie Spice kind, but you must travel to Wal-Mart for that one.